Do you have a manuscript, brochure, poster, story, magazine article, website, or any other writing that is going to be published? Do you need another pair of eyes to critique your work? The services that I provide are to assist you to get your project to perfection before it goes to publication. Please take a look at my reference letters to see what authors are saying about my technical literary critique. 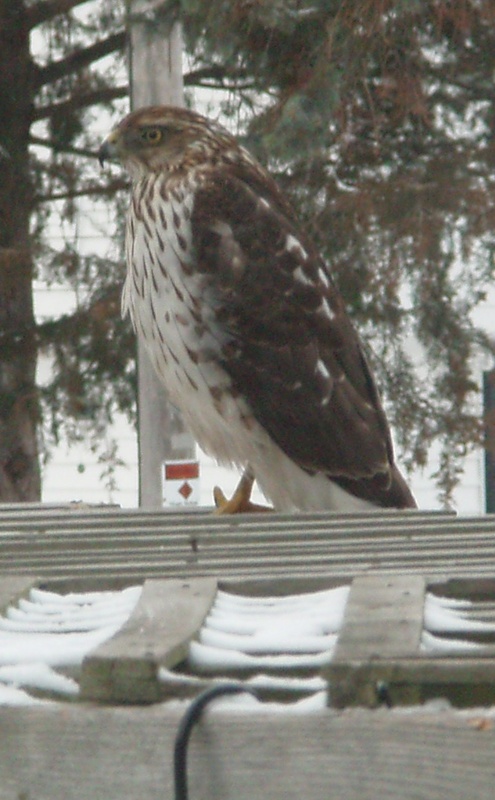 The picture on the right is of the hawk that came to visit right outside of our bedroom window on Jan. 17, 2012. 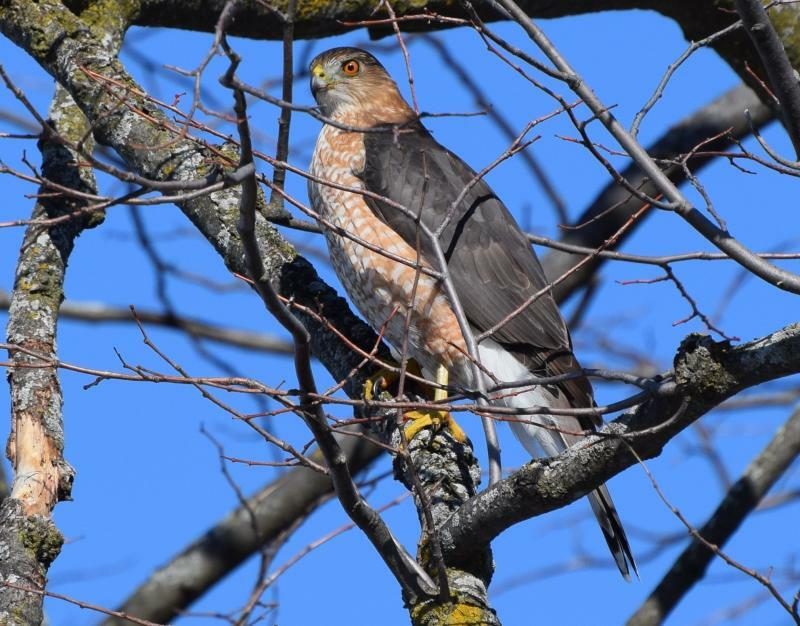 The previous day I had seen a hawk fly into our neighbors' tree, and thought that was a treat. But the next day, I looked out of the window and there he sat right on top of the arbor, where we have lots of treats hanging for birds (more than three dozen varieties) and our squirrels. My youngest son thought we were off our rockers when he heard my hubby and me talking about squirrels "by name." We have a dozen that frequent our arbor area, and several have distinguishing features so we know who they are, so to speak. 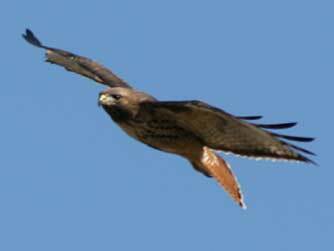 Well, my love for hawks, can you imagine how I am feeling about this visitor to our arbor? Pretty excited to say the least...that is until he carries off one of our other friends in his talons. But he needs to eat, too, doesn't he? I just hope I'm not there to watch him enjoy his dinner!! UPDATE: We've seen this fellow have two meals now...the dove population is going down, but our Cooper's hawk is eating well. He spent seventy-five minutes outside our bedroom window enjoying his meal, and another time he took his catch up into our neighbors' tree and enjoyed his lunch. The picture below is from that day. A squirrel actually was bugging him after a while, and he dropped his catch...quite a while after his munching spree. I'm pretty sure he was full by that time. Call anytime between 8 A.M. and 9 P.M. CST.